The School of Computer Science’s Professor Ali Babar and colleagues from National ICT Australia (NICTA) Dr. Liming Zhu and Professor Ross Jeffery have won the Most Influential Paper Award of the 23rd Australasian Software Engineering Conference (ASWEC) 2014. The winning paper, A Framework for Classifying and Comparing Software Architecture Evaluation Methods, was published in ASWEC 2004. The reported work provides a framework for benchmarking and selecting appropriate methods for supporting software architecture evaluation process for large scale software intensive systems. The ASWEC’s most influential paper aware is given for the most influential paper from the Australasian Software Engineering Conference from 10 years ago. Established in 1986, ASWEC is a leading technical forum for the exchange of peer-reviewed research outcomes and industry best practice in software engineering. 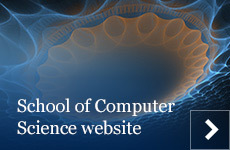 The ASWEC series is hosted by the Australian Computer Society (ACS) via the Computer Systems and Software Engineering Technical Board and Engineers Australia (IE Aust) via the National Committee on Software Engineering (NCSWE).